Clean over 30 years since around 1985 and 65 years old at the time of this talk, Khalil spends most of this share on what has happened since he got into recovery and the lessons learned. He was the Narcotics Anonymous (NA) Speaker at a retreat that features an AA, NA and CA speaker Friday, Saturday and Sunday. 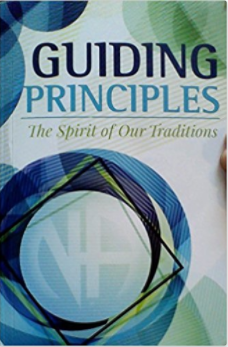 Khalil shares about being on the International committee that recently developed new NA Conference approved literature: "Guiding Principles: The Spirit of Our Traditions". Now he realizes why each Twelve Step Program needs to know and honor their traditions and why it is necessary they remain separate.